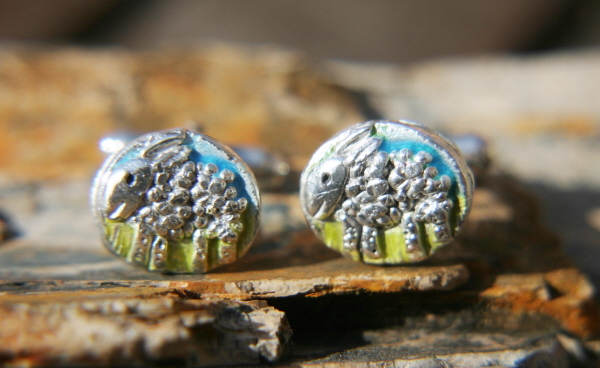 This commission came about after a customer had seen the sheep necklace. She wanted something special for her and her husband on an anniversary. 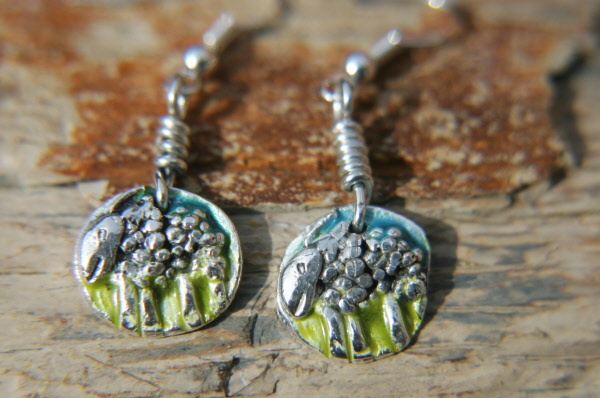 They are solid silver with nice bright glass enamel round the outside, giving them a lively, fun look!